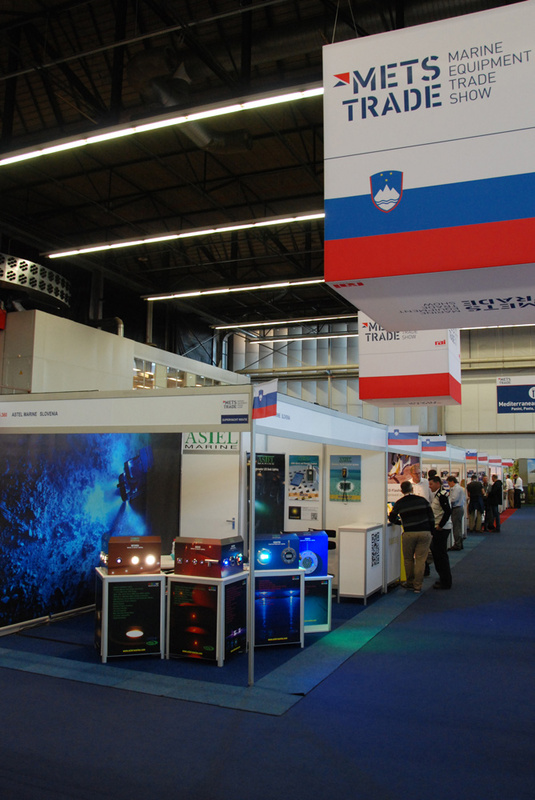 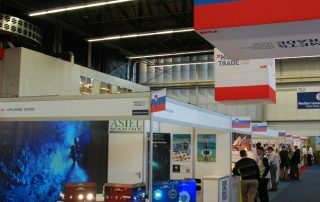 The brightest presentation of ASTEL MARINE products at Slovenian national pavilion in Hall 5. 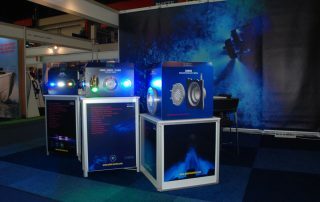 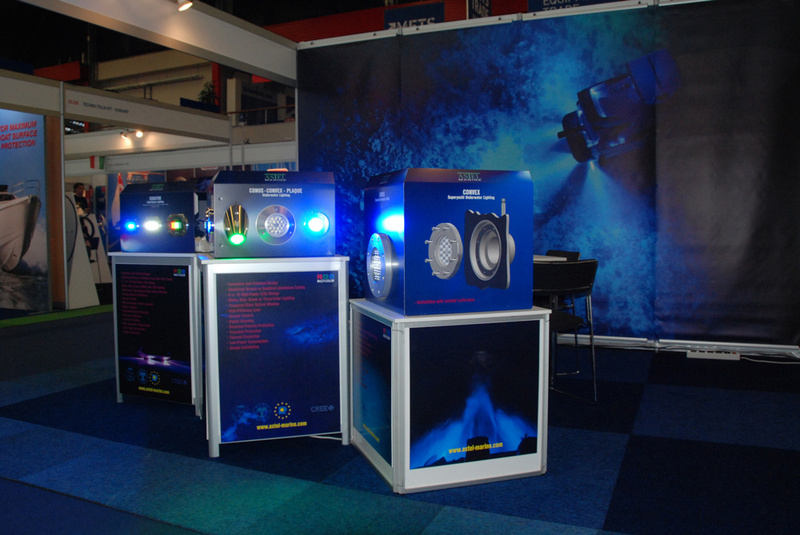 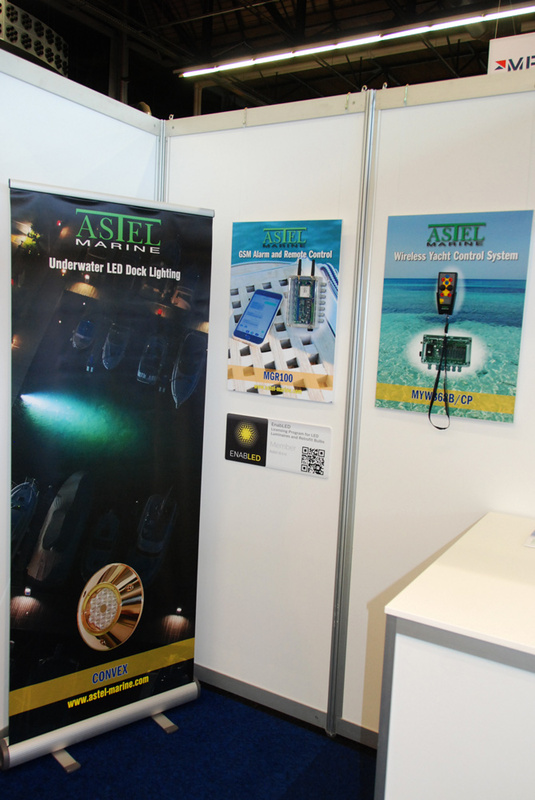 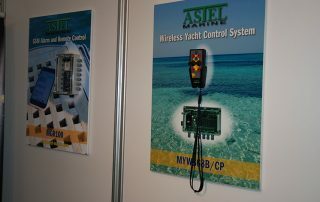 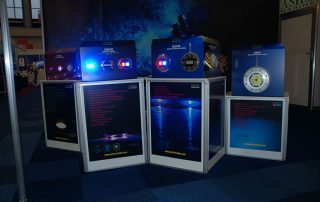 The ASTEL MARINE products will be presented at Slovenian pavilion in hall 5 of the world’s biggest and most visited B2B leisure marine equipment show with the Wireless Yacht Control System, GSM Alarm and Remote Control Unit and the most innovative LED lighting including the new generation of EQUATOR Underwater LED Lights as the thinnest underwater LED lights on the market . 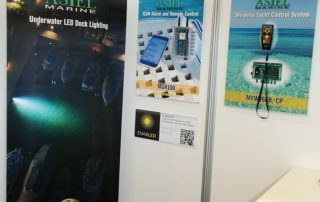 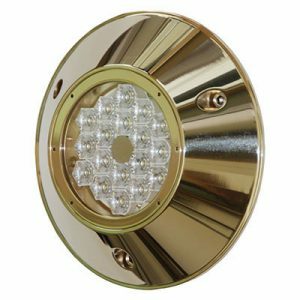 The new CONVEX Underwater LED Dock Light with 18 high-power LEDs and luminous flux of 16.000 lm with external 100-240 Vac driver enables very simple installations to the piers, floating pontoons and docks. 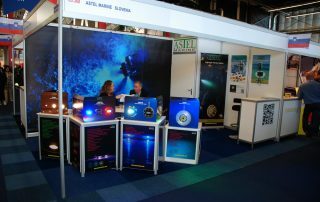 Built-in robust anti-fouling marine bronze AB2 casing enables reliable installation and long-term operation. 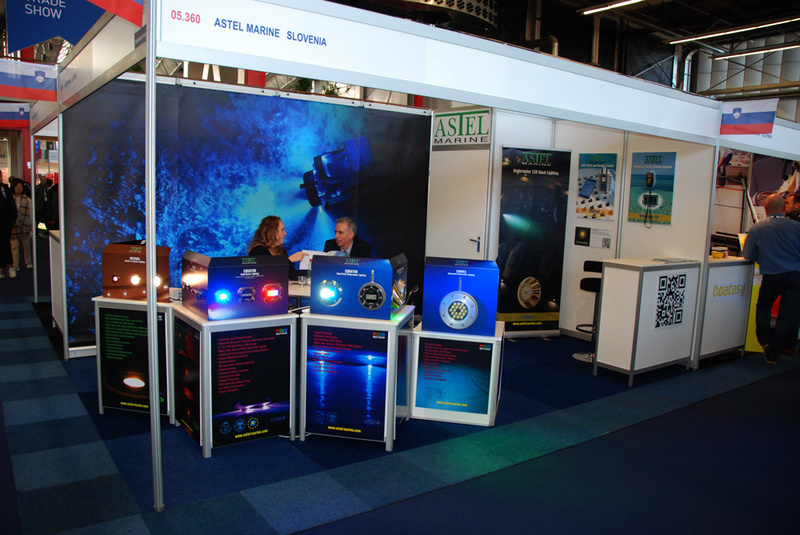 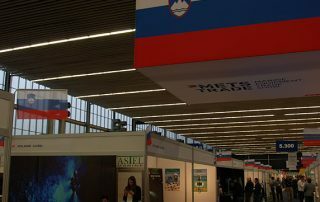 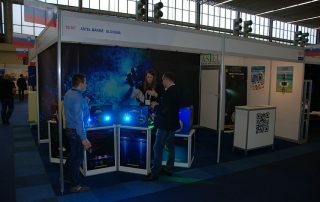 The ASTEL MARINE products were presented very successfully at Slovenian national pavilion in Hall 5 with upgraded and the largest stand so far.